I take my health very seriously after making a major health change about 2 years ago. When I first started meeting with a dietician one of the things that she highly recommended for me to use as part of a low carb/high protein diet was a really good Probiotic. 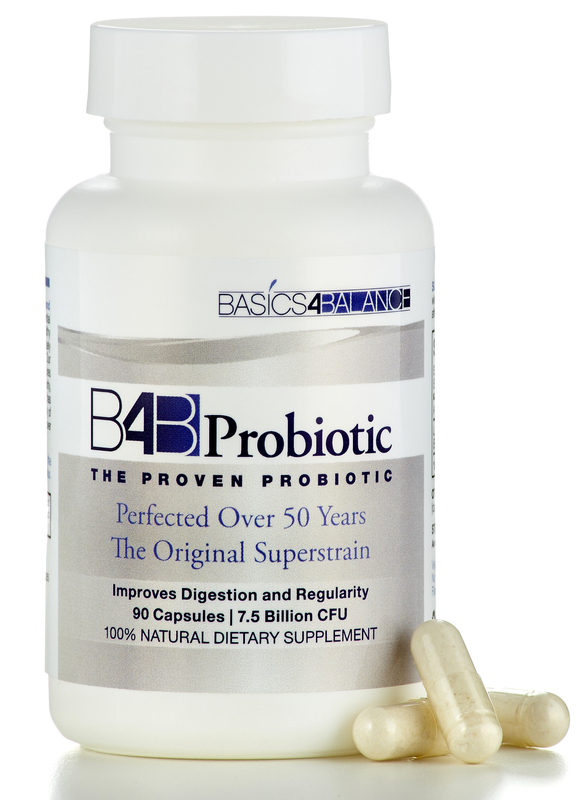 I have looked around for several different ones but the B4B Probiotic is by far one of the best. It works great by supporting my digestive health while I maintain a healthy diet and exercise. B4B probiotic promotes regular digestive health. The probiotic helps to improve digestive health and with B4B Probiotic you can also improve your health. It is so great to have a supportive product like B4B Probiotic while I am trying to maintain my weight loss and stay healthy! Get the extra digestive help you need for the holidays. We’ve been helping thousands of people for decades. Now available direct. Digest better, feel great. PROVEN. Our formula has the premium strain called DDS-1 that took 50 years to perfect. POWERFUL. Helps digest excess holiday foods so you can stay merry. EFFECTIVE. Clinically proven to improve digestion, support the immune system, and enhance weight loss efforts. We will gladly refund your purchase if you are not fully satisfied.